I am beyond excited to offer you, my lovely readers, a giveaway sponsored by Burke Decor. One lucky winner will win a prize package worth $165. How’s that for a stocking stuffer surprise? 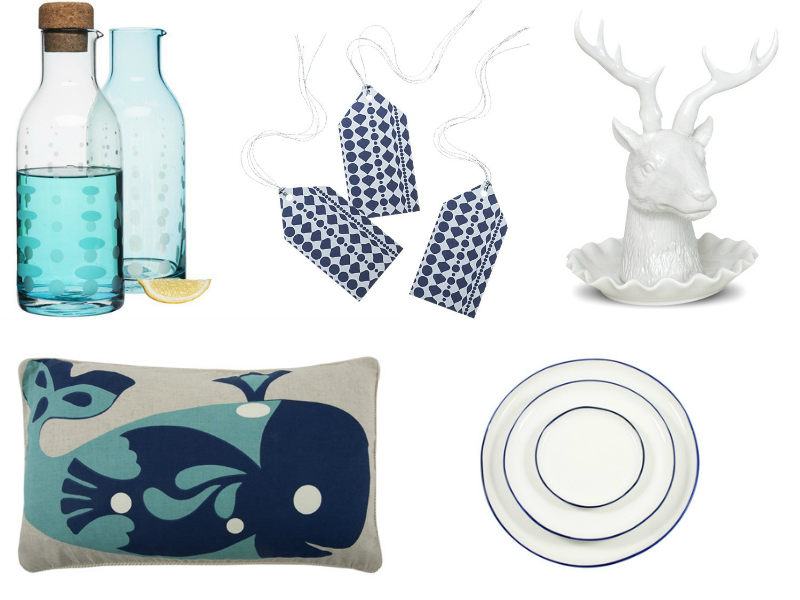 Burke Decor and I have put together an animal themed, blue and white prize package including artisan scissors, a chevron tote, a gorgeous decorative pillow and porcelain animal canisters. For those of you not in the know, Burke Decor is an online boutique featuring curios, gift sets, modern furniture and other home furnishings. Their items are expertly curated. From gorgeous coffee table books to swoon worthy knickknacks, I have yet to find a page of items at Burke Decor that is not swoon-worthy. I bet you could do all of your holiday shopping at this site alone! Looking for unique Xmas gifts or “just because” treats? Explore Burke Decor to your hearts content! Only 15 days left until the holiday, get to it! Save 15% off at Burke Decor all month long using the code THEWALKUP. *Sorry, limited to U.S. and Canada readers only. $165 USD total value. Winner will be announced at the bottom of this post after the giveaway closes. If you do not leave a comment but check the comments field, your entry will be disqualified.